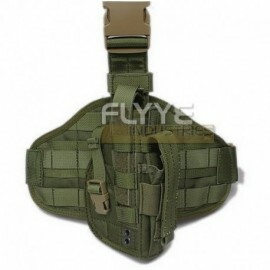 This practical and extremely strong duty waist bag comes with 6 different pockets and compartments of various sizes. 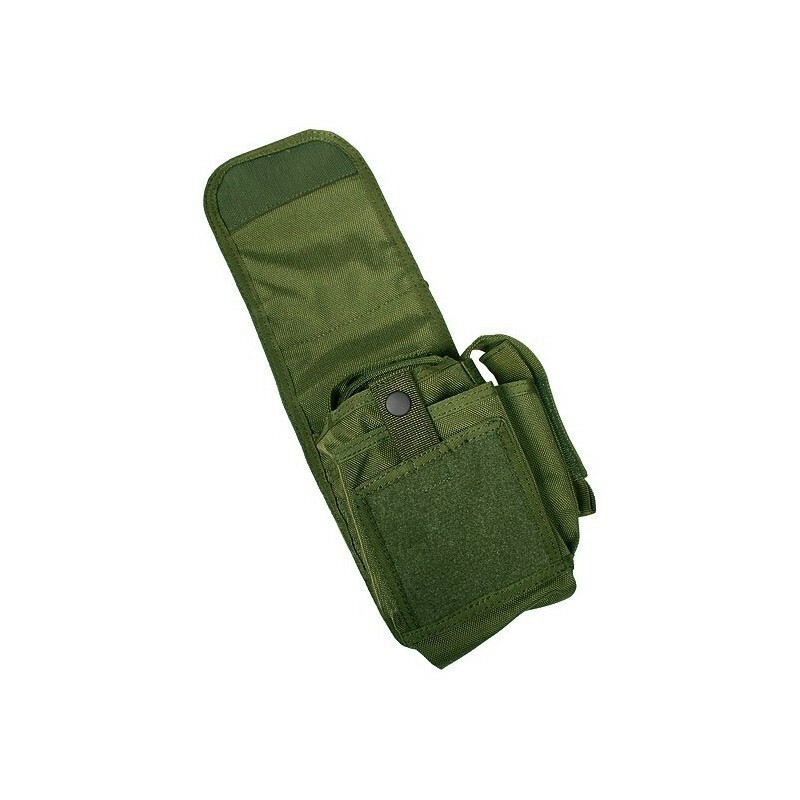 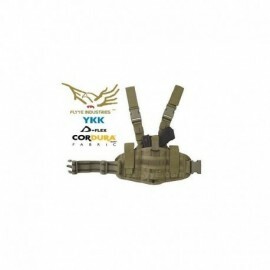 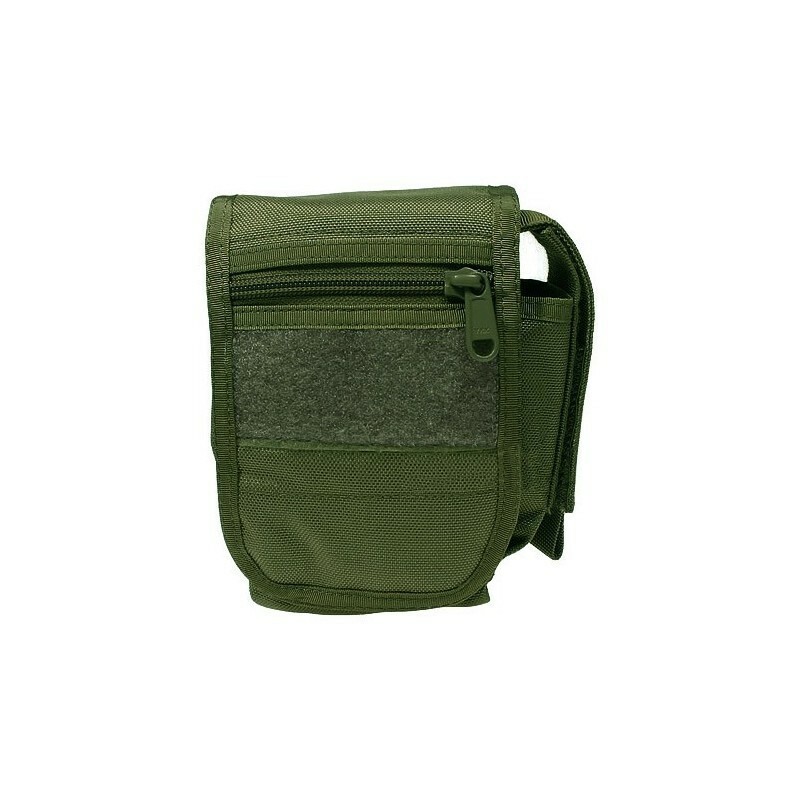 There is 1 main compartment with an internal pouch, covered with a large flap and additionally secured with adjustable Velcro straps, 2 front pouches that can be secured with sturdy UTX snap, 1 pouch on the back side of the bag, and a side pouch that can be used for storing single pistol magazine. 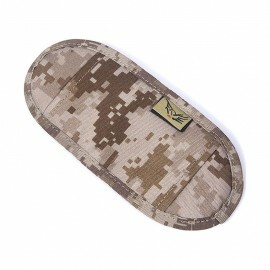 Velcro fastened flap goes with one zip up pocket and a Velcro plate for attaching patches. 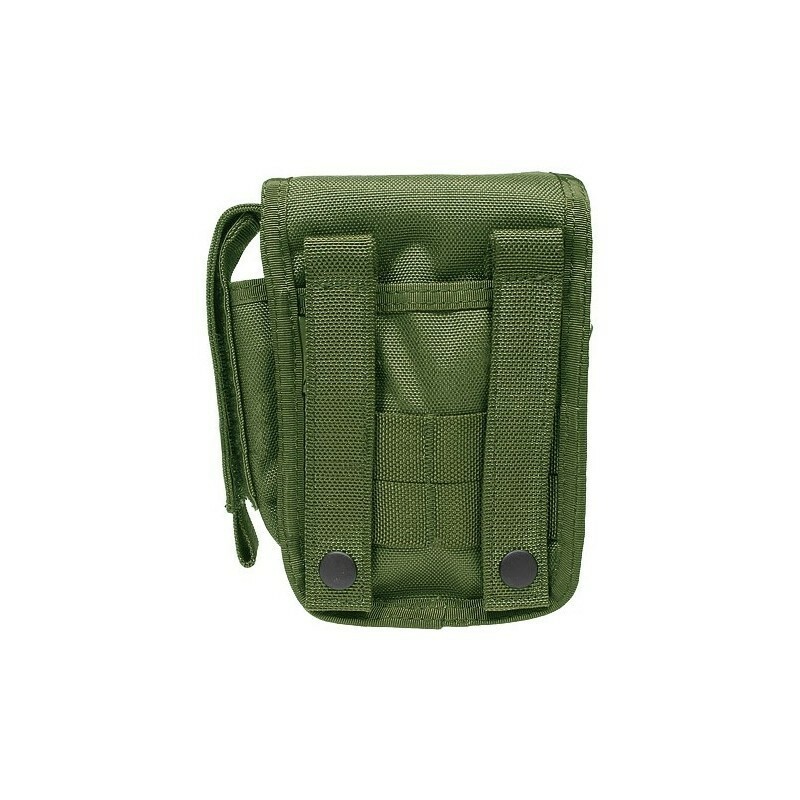 The bag can be worn as a waist bag and also easily attached to any MOLLE-webbed vests, bags and rucksacks thanks to MOLLE type webbing placed on the side and the back of the bag.